CHEMGUARD C606-MS 6% AFFF (Aqueous Film-Forming Foam) Concentrate combines fluoro- and hydrocarbon-surfactant technology to provide superior fire and vapor suppression for Class B hydrocarbon fuel fires. 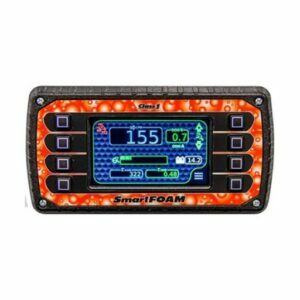 This synthetic foam concentrate is intended for firefighting application at 6% solution in fresh, salt, or hard water. 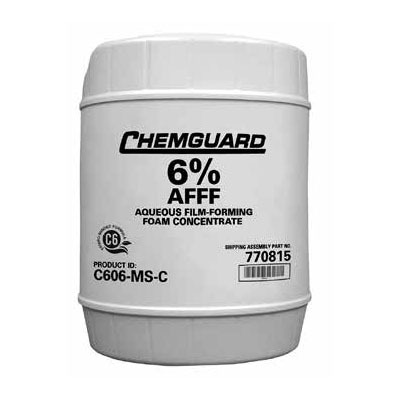 CHEMGUARD C606-MS 6% AFFF Concentrate is intended for use on Class B hydrocarbon fuel fires having low water solubility such as crude oils, gasolines, diesel fuels, and aviation fuels. It is not suitable for use on polar fuels having appreciable water solubility, such as methyl and ethyl alcohol, acetone, and methyl ethyl ketone. The concentrate has excellent wetting properties that can effectively combat Class A fires as well. It may also be used in conjunction with dry chemical agents to provide even greater fire suppression performance. Please contact Tyco Fire Protection Products Technical Services and/or refer to listing agency for current product and compatible hardware listings. The environmentally-mindful CHEMGUARD C606-MS Concentrate formulation contains short-chain, C-6 fluorochemicals manufactured using a telomer-based process. The telomer process produces no PFOS, and these C-6 materials do not breakdown to yield PFOA. The fluorochemicals used in the concentrate meet the goals of the U.S. Environmental Protection Agency 2010/15 PFOA Stewardship Program. CHEMGUARD C606-MS Concentrate may be effectively applied using most conventional foam discharge equipment at 6% dilution with fresh, salt, or hard water. For optimum performance, water hardness should not exceed 500 ppm expressed as calcium and magnesium. Because of the low energy required to create foam with CHEMGUARD C606-MS Concentrate, the foam solution may be applied with aspirating and non-aspirating discharge devices. Aspirating discharge devices typically produce expansion ratios from 3.5:1 to 10:1, depending on the type of device and the flow rate. Non-aspirating devices, such as handline water fog/stream nozzles or standard sprinkler heads, typically produce expansion ratios of 2:1 to 4:1. 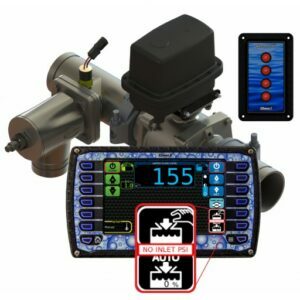 Medium-expansion discharge devices typically produce expansion ratios between 20:1 and 60:1. For immediate use: The concentrate may also be diluted with fresh or sea water to a 6% pre-mix solution. For delayed use: Consult Technical Services for guidance regarding suitability of a pre-mix solution (fresh water only). CHEMGUARD C606-MS Concentrate should be stored in the original supplied package (HDPE totes, drums, or pails) or in the foam system equipment recommended by Technical Services. The product should be maintained within the recommended 35 °F to 120 °F (2 °C to 49 °C) operational temperature range. If the concentrate freezes during transport or storage, full product serviceability can be restored upon thaw with gentle re-mixing. Factors affecting foam concentrate long-term effectiveness include temperature exposure and cycling, storage container, air exposure, evaporation, dilution, and contamination. The effective life of CHEMGUARD C606-MS Concentrate can be maximized through optimal storage conditions and proper handling. CHEMGUARD foam concentrates have demonstrated effective firefighting performance with contents stored in the original package under proper conditions for more than 10 years. CHEMGUARD C606-MS 6% AFFF Concentrate has been successfully evaluated by the US Naval Sea Systems Command for prolonged compatibility with other 6% AFFF concentrates qualified under MIL-F-24385F specification. Mixing with foam concentrates not vetted by MIL-F-24385F is not recommended. For immediate incident response, it is appropriate to use the concentrate in conjunction with comparable 6% AFFF products. CHEMGUARD C606-MS Concentrate compatibility with HDPE has been successfully evaluated using ASTM D1693-70 protocol under UL-162 standard. Concentrate corrosion studies with cold-rolled carbon steel (UNS G10100), 90-10 copper-nickel (UNS C70600), 70-30 nickel-copper (UNC N04400), bronze (UNS C90500), and CRES steel (UNS S30400) have been successfully completed per ASTM E527 protocol under MIL-F-24385F specification. To avoid corrosion, galvanized pipe and fittings should never be used in contact with undiluted concentrate. Please refer to Technical Bulletin No. 59 for recommendations and guidance regarding compatibility of CHEMGUARD concentrates with common materials of construction in the firefighting foam industry. 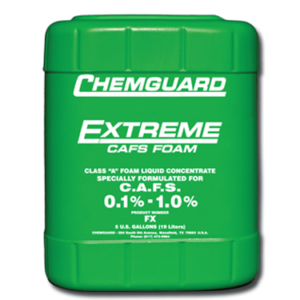 CHEMGUARD C606-MS 6% AFFF Concentrate should be inspected periodically per NFPA 11 “Standard for Low-, Medium-, and High-Expansion Foam,” EN 13565-2 “Foam System Standard,” or other relevant standard. A representative concentrate sample should be sent to Tyco Fire Protection Products Foam Analytical Services or other qualified laboratory for quality analysis per the applicable standard. An annual inspection and sample analysis is typically sufficient, unless the product has been exposed to unusual conditions. Concentrate is available in commercial packaging only under CHEMGUARD C606-MS-C product designation and is not available for direct, contract government acquisition (per MIL-F-24385F packaging provision). Concentrate is available in pails, drums, totes or bulk shipment, with pail and drum containers being UL-162 compliant.